Point Park University offers a B.A. in writing for screen and media (also offered fully online) and a B.F.A. in screenwriting. These programs emphasize a balance of hands-on work in the development of scripts along with the study and theory of storytelling for a wide platform of outlets. Writers participate in workshop settings, providing and receiving feedback from peers and instructors. 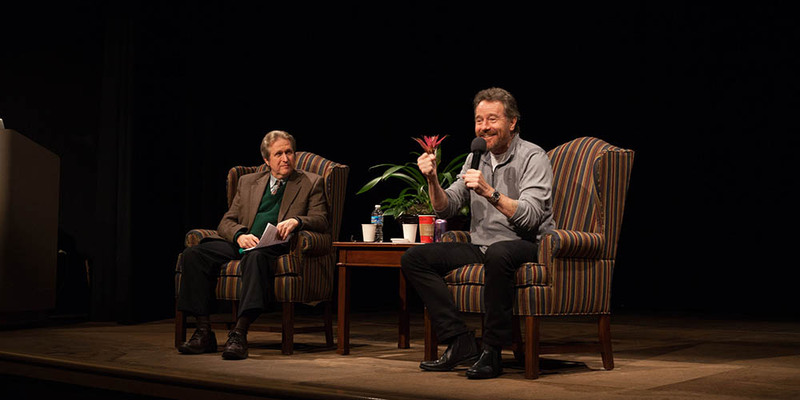 (Far right) Award-winning actor, writer and producer Bryan Cranston to Point Park students: "To be successful in this business you need talent, persistence, patience and luck." The B.A. in writing for screen and media (also offered fully online) is an innovative program that offers an intense focus on screenwriting, as well as exposure to a variety of the latest media writing platforms to prepare students for employment as professional media writers/screenwriters. This interdisciplinary program includes writing courses in cinema, business and communication. Students will use their skills to write web series, interactive texts, promotional videos, industrials and gaming, as well as be prepared for writing positions in advertising, journalism and business management. B.A. students are required to complete 120 credits. For a comprehensive list of program requirements, see the B.A. degree requirements. The B.F.A. in screenwriting offers a rigorous immersion into the craft of screenwriting, requiring students to participate in a year-long thesis course and to create a portfolio of materials. The B.F.A. couples well with Point Park's M.F.A. 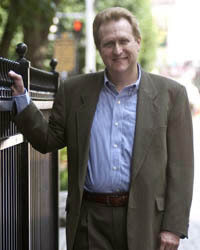 in writing for the screen and stage program. Students complete work in at least three specialized areas: feature film, television, animation, web series, etc. B.F.A. students are required to complete 128 credits. For a comprehensive list of program requirements, see the B.F.A. degree requirements. The programs provide opportunities for collaboration with other writers, filmmakers and animators. Writers will see their ideas brought to life on a variety of mediums and gain intimate knowledge of the industry and its structure. Writers will also have the opportunity to make films, and, by directing actors and composing shots, they can more fully realize the possibilities of visual storytelling. "I possess a few battle-tested Hollywood insights that will greatly benefit students as they take that great leap into the swiftly moving, ever-shifting waters of a show business career in L.A., New York, or even if they remain right here in Pittsburgh." Friday, March 22, 2019 Meet Rania Draklellis, B.F.A. in screenwriting major and an artistic intern for production at the Pittsburgh CLO.